If there’s one thing you can say about Austin’s yearly Fantastic Fest, it’s that every film is different. I don’t just mean different from one another, but different as in unusual. Unexpected. Uncanny. For discriminating horror fans, the programming is a real treat, unearthing many delightfully nasty films that might otherwise go ignored. Every one of them should be on your radar, but Septic Man, the Patrick remake, and a new cut of Clive Barker’s Nightbreed are just a few that made an impression at the fest. Synopsis: Aaron Boone (Craig Sheffer) is convinced by his psychiatrist (David Cronenberg) that he’s a serial killer, when in actuality it’s the doctor doing the killing. After Boone is gunned down by police for murders he never committed, he finds himself resurrected as something not quite human in a place called Midian, home of the mysterious Nightbreed. Nightbreed: The Cabal Cut requires a little backstory. Clive Barker created the 1990 film to be a large-scale horror fantasy, while Universal wanted something closer to Barker’s Hellraiser. 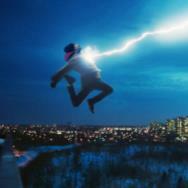 The result was a chopped-up theatrical version of his original vision. Nightbreed was a weird, oddly paced monster mash that didn’t quite satisfy in any of the directions it seemed to be working towards -- not quite scary, not quite romantic, and not quite mythological. The original material cut from the film was thought to be lost, but it was recently uncovered on old tapes by Nightbreed fans. These same fans have worked to restore the film into something resembling Barker’s earliest drafts of the script, with the filmmaker’s blessing, and it’s gone on to have a successful festival run, even attracting an eventual Blu-ray release from Shout Factory for 2014. 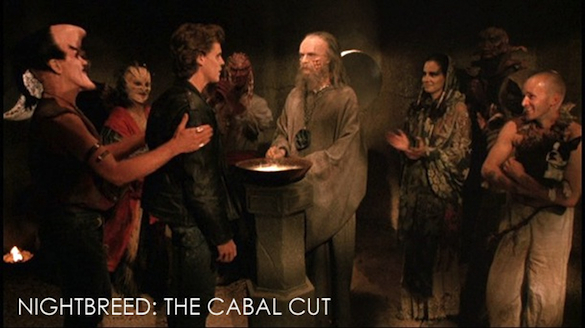 The Cabal Cut is still as imperfect as Nightbreed ever was, only now painfully longer. The most positive changes are the time spent establishing the relationship between Boone and his girlfriend Lori (Anne Bobby) and the significance of Baphomet, the ancient demon who governs Midian. Less significant is the drawn-out finale, which tries to turn the “Sons of the Free” militia into actual characters when they were just fine as personality-free redneck nobodies/cannon fodder. Oddly, much of The Cabal Cut uses marginally alternate takes of material that was already in the film to begin with, material one would assume was selected by Barker himself as the best takes for the original release. It colors the film. 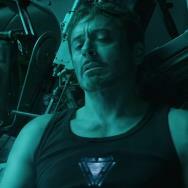 Instead of feeling like you’re witnessing the director’s vision fully restored, you often feel as if you’re seeing someone’s kitchen-sink fan edit. For fans of Nightbreed, it’s an interesting experience but in many ways no more satisfying than what played in multiplexes in 1990. The plot remains exactly the same. For newcomers, The Cabal Cut is an imperfect version of an imperfect film, this time too long to be fun and much too rough to be visionary. Synopsis: Water contamination causes a sewage worker to risk his very humanity in order to stop the problem. You come to a horror film about sewage and a title like Septic Man with a lot of expectations. Some will be pleased that, besides the grimy opening, there’s a lot of restraint shown here. Others expecting a gross-out fest for the ages will have to hold on to their Slime City videotapes for now. Septic Man is a weird one, but not excessively gross. 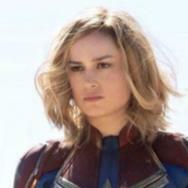 The film is a step up for director Jesse T. Cook, who previously helmed the undercooked Monster Brawl, and there’s a measured approach here that’s leaps and bounds more fundamentally sound than that previous cheapie. Some of the heavy lifting is done by Pontypool writer Tony Burgess, who steers Septic Man into being some kind of a bizarro character piece (almost) instead of a movie about sewage water that turns people into mutants. 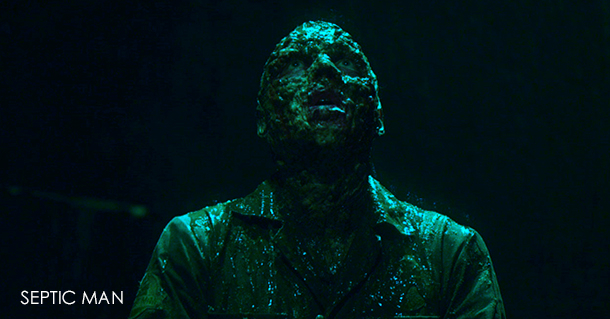 It’s talky and almost artsy at times, oppressively lensed with a sludgy black and green until your very own eyes will want a relief from the sewer that “septic man” Jack (Jason David Brown) finds himself trapped in. Synopsis: In this remake of the 1978 film, a new nurse (Sharni Vinson) makes a connection with a catatonic psychic named Patrick (Jackson Gallagher), but as their relationship deepens, things grow increasingly worse for all those who interact with him. There’s some fun to be had with this Australian remake, especially in the unexpected ways that its plot unfolds and the joy of seeing Charles Dance (as head doctor Roget) deliver some really delicious bad-guy dialogue. It’s also another strong “final girl” role for Vinson, fresh off of You’re Next and already proving herself to be a formidable scream queen. There are as many things about Patrick that work as there are things that don’t work, but considering that many horror films don’t even come close to hitting a 50/50 split between interesting and rote, Patrick gets our approval. How do you show telepathy on-screen? In Patrick, the problem is solved with numerous text conversations, either on iPhones or monochromatic computer monitors, and its just plain tough to shoot any of that and make it look interesting. Threats are stuttered out through a blinking cursor; in one scene a chase is punctuated with texts that pop up on-screen beside the heroine. Could Patrick have been scarier without these constant blooping texts? I’m not convinced. Patrick’s attempts at terror are more noisy than chilling, but its story is unique and engaging, even if the hairs on your neck never raise to full-mast. Everyone seems 100% committed to the film at all times, and that really helps keep its energy levels up through its dodgy CG and half-dozen IM conversations. Patrick may not be as scary as it's obviously intended, but it is something different.